Product Faculty offers Toronto’s most intimate and hands-on masterclass in basic and advanced product management topics for aspiring PM stars. Each masterclass is hand-picked to ensure discussions are rich and curated. Graduating students join alumni working at Toronto’s best startups. Students form a close-knit group and through alumni events are encouraged to keep in touch past the end of every cohort. About 3 months after graduating from Product Faculty, I've been promoted to a Senior Product Manager role at my company! Taking the course at Product Faculty was different than any course I've ever taken. Even before the course started, I was able to get on a call with Moe (the instructor) who personally answered any of my questions. There were no sales people, no advisers - I got to speak with Moe directly to learn about the course and plan out where I'd be after taking it. Moe has an open door policy that continues after the course ends. He has a large Product Management network in Toronto and even after the course was done, I've gotten on calls with Moe where he's mentored me and answered product questions that I have. We also have a slack group where more continues to share Product Events and answer any of our questions. Doing this course with Moe is like getting an unlimited course where we can continue to ask questions at any time. The course covers all the basics with hands-on exercises and case studies that get the concepts across. The course also goes into advanced topics like choosing the right metrics for measuring product performance, growth hacking, customer journey mapping and many others. The best part is that Moe uses many real-life examples from his experience that drives the point home. This way you aren't getting just theory regurgitated to you, but you know you are hearing from someone who's done what's being taught. We had AMAZING guest speakers that came and spoke to our class of 10 students. These included the Chief Product Officer at Kik, and other product leaders from some of the best tech companies in Toronto including Shopify and FreshBooks. I can't imagine any other opportunity where we'll get to meet with, and ask questions from such amazing product leaders in a small classroom setting. 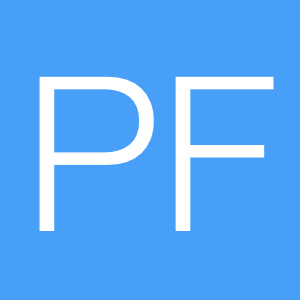 If you are considering a move into product management, or if you are looking to improve your PM skills, I would highly recommend Product Faculty. I know this is a big decision for many people, if you have any questions - don't hesitate to reach out to me! 10 people in class which makes it super personalized and intimate. Moe gives real life examples from his experience which are so raw and true of how the product management landscape really is vs just what’s on the books. And Moe is an amazing teacher who is really attentive and supportive with job searching. Highly recommend if you’re a founder or making a career switch. Being a new product manager is not easy - essentially you are no different than a scientist, 99% of the time you venture into uncharted land via the numerous tests and experiments that you run, trying to find the right insight that points to the right direction in your quest of finding product-market fit. By nature, the PM craft is highly variant - there is no one set-in-stone answer and all one can do is to continuously test and iterate product hypothesis, while learn and experience thru trials and errors. Just imagine the confusion and the frustration that comes with it, and that's why I believe having an experienced mentor is important for any new product manager. For this reason, I am extremely glad and thankful that I attended Product Faculty's inaugural cohort and met Moe, my mentor and coach in the discipline of product management. Product Faculty's class are small by design - every cohort allows only 10 students maximum - and because of this, it allows and encourages all students to engage into intelligent discussions on product concepts every class. Moe would use numbers of examples - ranging from the mega unicorns to small local startups - to illustrate and simplify complicated concepts, and students would get to apply their learnings in real life projects. 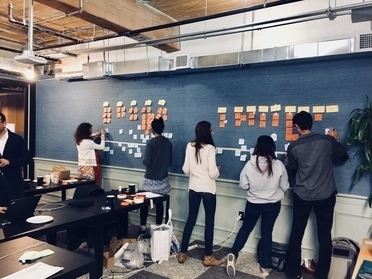 Whether its a class exercise or a final project that puts everything together, there is simply no shortage of practice opportunities which I think is critical to master the product management craft. Lastly, each class would also feature guest speakers (i.e. product managers from notable companies, founders, tech recruiters etc.) who would share their insights on various topics related to the tech industries. These opportunities are hard to come by, but only made possible thanks to Moe's carefully crafted syllabus, dedication to his students' success, as well as his connections. Today I enjoy a fulfilling and successful career in product management thanks to Product Faculty's teachings, and I am proud to be able to call Moe my mentor and my friend.